Elon Musk’s electric carmaker unveiled improving margins, decent sales targets for this year and the prospect of cutting the cost of producing the batteries for its vehicles. That sent the stock to new highs, but at $27 bln Tesla’s valuation is rooted in hope, not reality. 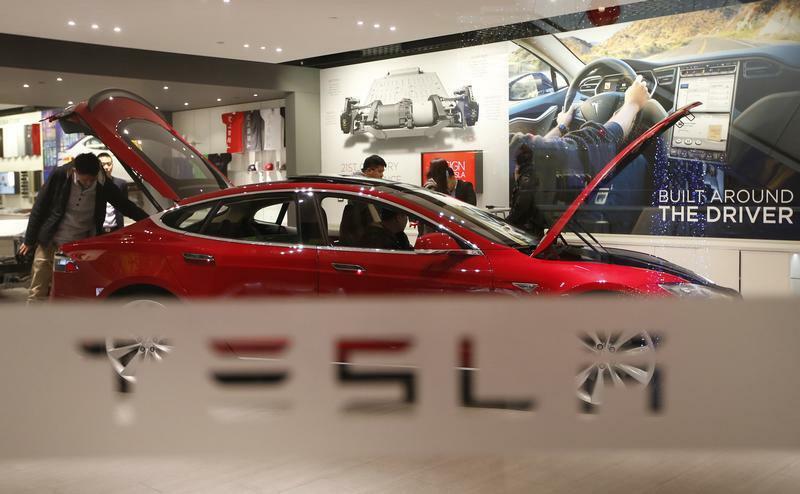 Tesla Motors reported adjusted fourth-quarter net income of $45.9 million, or 33 cents a share on Feb. 19. Unadjusted earnings defer some income from leasing and includes costs associated with paying employees in shares as well as the non-cash interest expense on the company’s convertible bonds. Including these factors, Tesla posted a $16 million loss. Tesla shares jumped 12.3 percent to $217.44 in extended trading following the announcement.